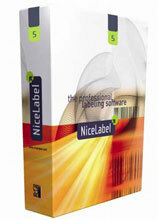 NiceLabel Suite 6 is a fully-featured, modular labeling solution for label design, integration and professional printing requirements. A wide range of options make NiceLabel Suite a perfect and easy-to-use, wizard driven tool for any labeling requirement, including RFID, compliance labeling and more. The Niceware NLN5 is also known as INT-PLNLN5	.